University Of Iowa Press, 9781609386184, 256pp. 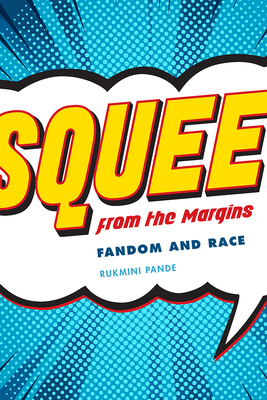 Rukmini Pande’s examination of race in fan studies is sure to make an immediate contribution to the growing field. Until now, virtually no sustained examination of race and racism in transnational fan cultures has taken place, a lack that is especially concerning given that current fan spaces have never been more vocal about debating issues of privilege and discrimination. Rukmini Pande is an assistant professor at O. P. Jindal Global University, New Delhi. She is on the editorial board of the Journal of Fandom Studies and has been published in multiple edited collections, including The Wiley Companion to Fan Studies, Seeing Fans, and Fic: Why Fanfiction Is Taking Over the World, as well as the journals Transformative Works and Cultures and the Journal of Feminist Scholarship.